I checked my IP address before setup of the proxy and after via http://www.whatsmyipaddress.net/. Raspberry Pi with raspbian at site A which is reachable with SSH via public IP address. 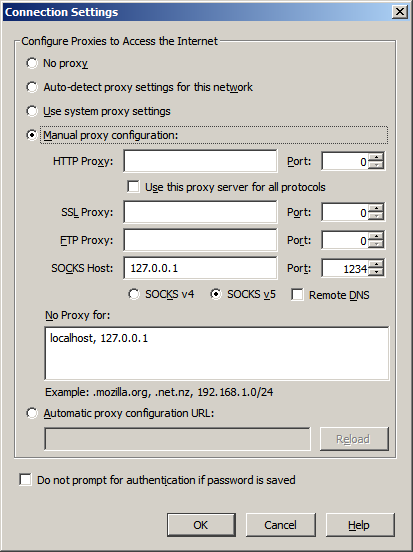 Putty SSH Client at site B. Now just establish the ssh connection and put in the address bar of firefox IP of your network components. Router, Webcam, NAS etc.